Tell us a bit about your own school days – were they happy ones? Yes, very much so; I loved school! In fact, I’m probably the only person I know who would go back tomorrow! I spent most of my schooldays – from the age of eight to 16 – at a boarding school called Farney Close in Mid Sussex. There, we used to play sport every day so that suited me just fine. My favourite was football – I played various different positions – I just loved being on the pitch really! So at what stage did you realise that you had a rather special talent? Well, originally, I always wanted to be a professional footballer, but when I left school, I ended up joining my local athletics club, the Haywards Heath Harriers, where they had great coaches, and later on the Essex Beagles, and just started to get better. It all went from there really – there’s no big secret! You went on to enjoy huge success on the international stage – with four world records, two Olympic gold medals, three Commonwealth titles, and wins in the World and European Championships – what was the highlight? The highlight for me really was simply that I just felt lucky to have a career – in the sense that a lot of sports people manage only a couple of years, but mine lasted over 15 years! Again, no great secret; I think it was just luck really! it’s health and physical education – just getting out there and having a runaround. It’s so important that kids get an early grounding in physical activity – and that we make that a positive one – because they will then take that with them for the rest of their lives. great at maths or English if you don’t have your health? Everybody has just one health so we need to look after that. Well, the athletic academies are aimed at six to 12-year-olds and the fitness academies from six to 16, and we aim to make it the best possible investment in fun, fitness and the future! With the athletic academies, all the disciplines of the decathlon event are involved in the most fun, engaging and energising way – running, jumping and throwing. The purpose isn’t necessarily to unearth the next gold medallist; it’s about getting children buzzing and enthused by physical activity. But when we do encounter kids who exhibit particular talent then we will ensure they are channelled in the right direction towards local clubs and their talent has the best possible chance to flourish. You’ve spoken in the past about the importance of getting parents involved in school sport too… is that the case with the academies? Yes, absolutely. Parents can come and watch – and then once mum and dad have seen what we’re doing, then they can hopefully go and replicate that at the park at the weekend or join one of our fitness camps. And we hear that you also drop in yourself from time to time? Yes, it’s great to see how everything is going, of course, so I normally go along to each academy at least a couple of times a year. What has the response to the academies been like so far? It’s still early days, but yes, so far very good. We have eight academies running in schools across Surrey including ACS Egham International School; ACS Cobham International School; Danes Hill School in Oxshott; Manor House School in Little Bookham; Lanesborough in Guildford; and Shrewsbury House School in Surbiton. We’re also looking forward to expanding further in the near future. So what other projects do you have coming up yourself? Well, at the moment, I’m just getting over a trip to Australia where I was doing some filming – and now trying not to feel too miserable about returning to the British weather! So we’ll have to see what comes next. We have five kids, aged from six to 21 – so they keep us pretty busy, ferrying them around and making sure they’re all at school at the right time and everything! And do you think any of them will be following in your footsteps? To be honest, I think that would be impossible for them, as everybody would just expect too much from them. I don’t mind what they go on to do really – it’s completely up to them – all that matters is that they are healthy and jolly. How about you; are you still out playing sport much yourself? I don’t play a lot of sport these days, but I do still train every day for about an hour in the gym – running, cycling, rowing – whatever takes my fancy. I must admit, I don’t train outdoors that much because of the weather – I’m a fairweather gym bunny! Whatever you do though, exercise is so great on so many levels. Whether it’s children or adults, even if it’s just half an hour a day, then that’s half an hour to yourself where you can think or not think – it’s just so great for general wellbeing. So with the academies, what we’re trying to do is to provide another option for that. Finally, what advice would you have for any budding Olympians out there? Whatever your dream is, whether sporting or otherwise, you should follow it; simple as that. It’s so easy to get distracted from that, but if you can keep focused on what you hope to achieve then the sky is the limit. 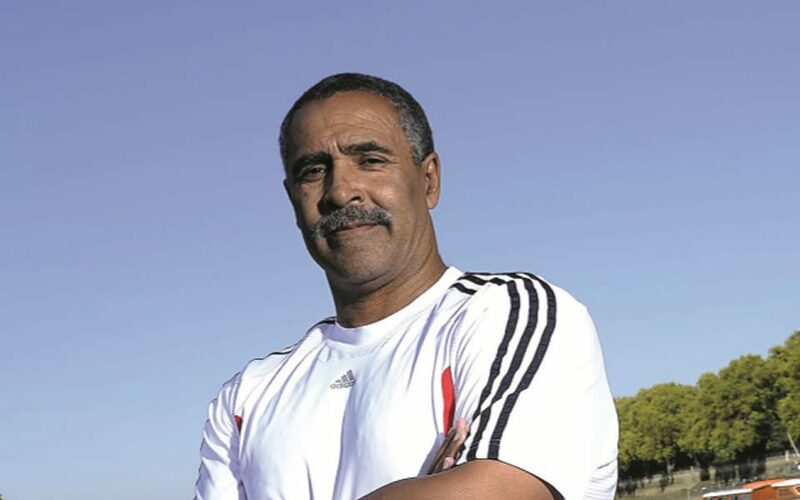 Formed in 2011 by Olympic legend Daley Thompson and former GB athlete and TV Gladiator Kate Staples, the Academies are dedicated to engaging, energising and inspiring kids from the age of 5, delivering athletics based fun in the form of instruction, information and motivation delivered by top coaches and current GB athletes.